Second I2S bus contains DSP as a master and AD/DA converters as a slave, and the bridge and of course EEPROM. Nice work. What pcb cad are you using? I use Altium Designer 15. Let's talk about output stage for DAC, while I work on the PCB layout for DSP. This configuration would be probably the most versatile. You could mix balanced(by cloning output in DSP and inverting polarity) and unbalanced as you wish. If you want to use balanced input(amp) for unbalanced output(dac) you need to modify the cable(to provide balanced impedance for "cold"), but that's not a problem. Nice if you have equipment with more common unbalanced input. An opamp(with a common mode voltage tolerance) with a buffer in feedback loop would do. Rather straightforward, I've narrowed it down to two options. Inverting MFB filter with TPA6120 and DC servo. Or MFB filter with OPA1632 diff. in, diff. out, no frills. At the moment, I prefer bal in/out opa1632 variant. I would also prefer a MFB filter with the OPA1632 Opamp and differential in and out. Great project! If you want to use PGA after DAC for analog gain control then you will need additional unbalancing stage somewhere (not a big problem anyway). CS4272 evaluation board has (after DAC output) an additional instrumentation amplifier with 5x gain before filter stage, it is there to lower the noise contribution of the 2nd order filter. Wonder what kind of improvement that kind of circuit would offer? Thank you for your input Piersma. I've changed my mind a bit about connectors. I've switched to non shrouded headers for majority of the IOs. There are 3 full(all four signals) I2S for IN, 3 for Out. One I/O I2S goes to Rpi. 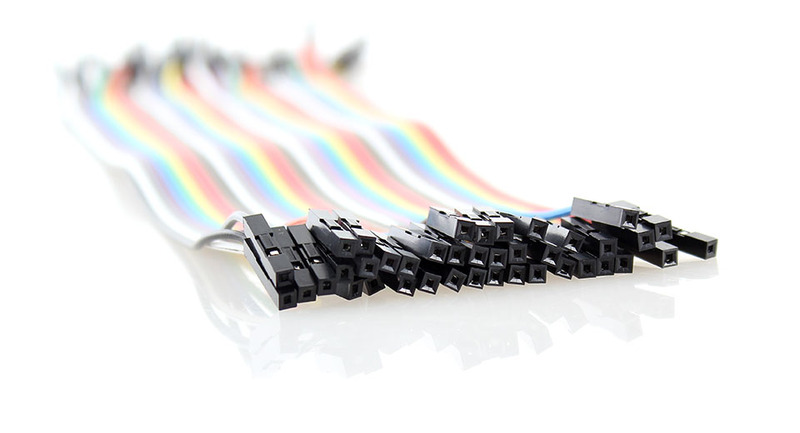 Rest are aux MP,ADC, I2C, power supply... Just crimp/solder separate headers to your DAC cable and connect them as you wish. There is quite a lot of free estate in top corner, I'm considering including TPS65131 and some post regulation. So complete setup would include only two boards, some nice enclosure and a wall wart. Another idea was to include step-down converter so one could use more common 12-24V wall wart, instead of quite beefy 5V. Bottom corner is reserved to EEPROM in a socket and maybe small arduino nano socket - if space permits. There will be a jumper so you can connect incoming MCLK instead of the default oscillator. I was considering getting rid of multiple oscillators and pricey ADM7150, but since I was able to fit it in designated area, and it is already designed, I've left it there as it is. Yes, creating smaller version, just to fit RPis footprint is not a problem. Actually I was considering moving Optical IO to bottom right corner and making the board same width and just a tad longer than RPi, but since DAC board will be quite wide, I decieded to stay with 10cm wide PCB. The dimensions are 10cmx10,5cm. just to let you know that there is some progress. input CM filter and replaced fuse with poly-switch. Since I had some free IO in I2C port expander, I've wired it to do some basic power management. So you can disable opamp PS and DSP PS, Only thing that is always on is 3V3 digital. I've also Refactored and cleaned up the schematic and crunched some numbers regarding current consumption and power looses. I've attended a 3 day high speed design course with Lee Ritchey(SpeedingEdge, highly recommended). So with newly gained knowledge I've obtained proper capacitor models and redesigned whole power delivery system... (minus switcher for +-6 for opamps - this one is yet to be done). Polymer tantalum seems to be quite nice stuff . The oscillator shares power supply with PLL and ADC now. I also got rid off stuff that I don't need... BBB connection, 2 oscillators (clocks are still switchable to external clk.). I played with IBIS models and SI simulation, as a result I went with UFL connectors for MCLK. The board seems more empty now, free space is occupied by VCC planes. Less is sometimes more. Now the whole thing will fit on 4L board even with proper power supply design (previous design was not going to be 4L board...). So far only 2 channels of ADC had to go - no way to route them, otherwise it seems rout-able.